Sensitive skin is a type of skin which needs extra care and precautions as it is more prone to skin infections and allergies. And the most general complaints that girls with sensitive skin have are related to post-shaving. 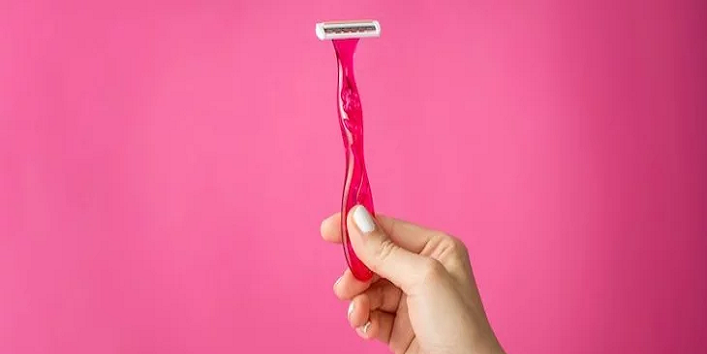 So, to help you guys we have listed some shaving tips for girls with sensitive skin. As we all know sensitive skin needs extra pampering and care as this skin type is more prone to infections and flakiness. And it also gets easily affected by the dust, making your skin more prone to pores, blackheads and even causes rashes which become an obstacle to a smooth shave. So, to prevent this, it is suggested that you should cleanse your skin thrice in a day. Plus, always try to use cleaning wipes with natural elements or natural cleansers. If your skin has too much hair or dead skin cells, your blade may catch it all and can lead to irritation. So, it becomes more important that you exfoliate your skin. You can use any natural exfoliator like sugar scrub or coffee scrub. But, be gentle while using the exfoliator and take your time. Generally, sensitive skin is drier and lacks hydration which can make the shaving process painful and can even lead to skin reactions. So, it becomes more important to keep your skin moisturized as it helps in maintaining the pH level of your skin by keeping it nourished and soft. Shaving in the opposite direction of hair growth is a very common technique followed by women. But, in case of women with sensitive skin, this technique can prove to be very painful and cause rashes and bumps. So, it is advised that you should shave in the same direction as the hair growth using a single blade to get a smooth shave. And, it is better to avoid shaving if you already have any wound or injury. If you have sensitive skin and you are shaving off your skin when it is dry then, it is a big mistake. Generally, sensitive skin is dry in nature which is also a major cause of skin issues and infections. And for this reason, it is suggested that you should go for a 5-minute water rinse to make your skin moist and shave it smoothly. If you also wish to keep skin allergies and infections at bay then, hygiene is another important aspect to consider especially in the case of sensitive skin. To prevent infections and allergies, it is very important that you keep your shaving blades clean. Make sure that you don’t use the same blade after 3 to 4 usages as they can get rough and can lead to bleeding. It is really important to take care of skin post-shave to keep it smooth and clean. Many women with sensitive skin complain about burning sensation, skin rashes and irritation after shave. So, to prevent that, we have listed some tips to take care of your skin. • Always rinse your skin with cold water after shaving. • If you experience itchy or stinging sensation, then, make sure you apply cold packs. • Make sure you apply aftershave gel. And if you have a sensitive skin, then opt for a natural moisturizer like coconut oil, aloe vera gel to have a soothing effect on your skin. • To get relief from any type of irritation and pain, you can place a cold cloth around your skin. So, these were the few shaving tips for girls with sensitive skin. Make sure you keep them in mind and prevent the damage to your skin.